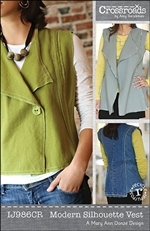 Using the Modern Silhouette Vest pattern by Indygo Junction, have fun making a unique designer reversible vest with quilted fabric of your choice. 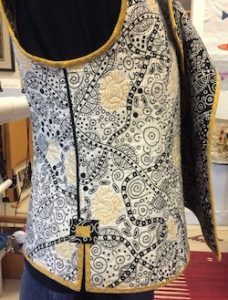 Wearable Art designed and made by you! Once you make one you will want to make more! 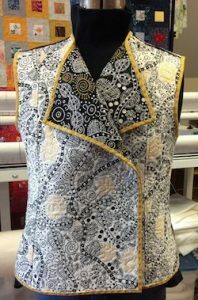 Day 1 will focus on how to plan your layout and cut out pattern pieces, backing and batting allowing for quilting “shrink”. 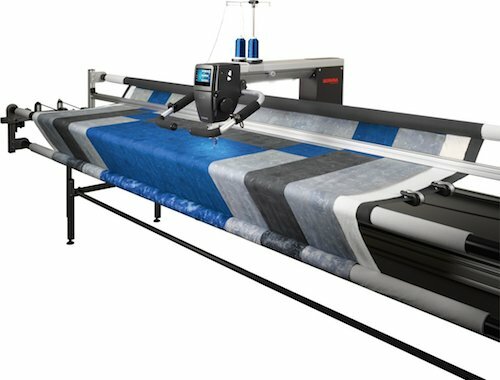 Options for quilting the sandwiched pattern pieces will be discussed. 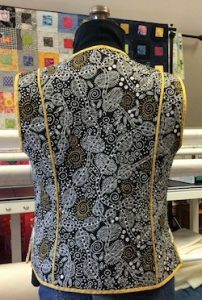 You will start quilting your pieces in class and finish the pattern pieces at home between classes. Vests from the instructor’s collection will be reviewed. 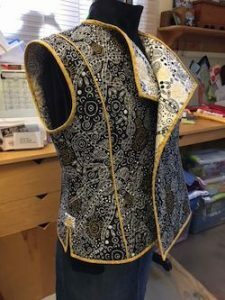 Day 2 will consist of the final cutting of the pattern pieces, basic vest construction and will concentrate on the seam finishes. 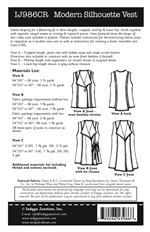 All raw seams will be bound with matching or contrasting bias fabric in the Hong Kong seam binding technique so that your vest can be worn on the reverse side. Final bias binding application for the garment’s outer edges is done at home. 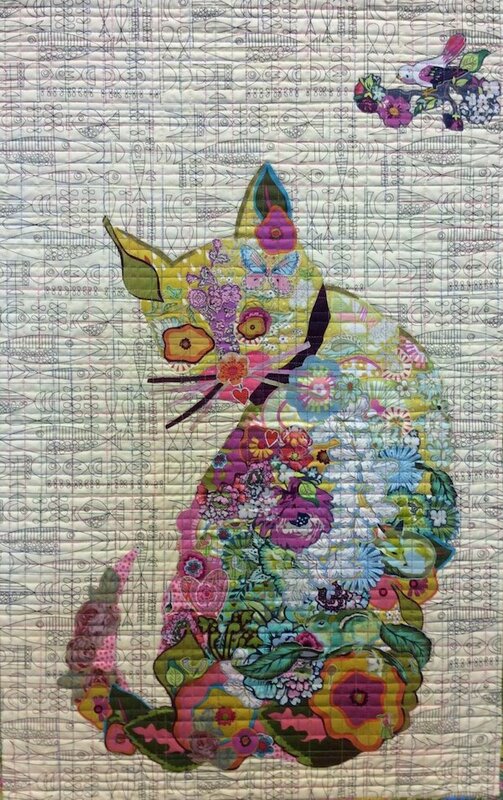 Janet Cass is a former hand weaver and graphic designer turned quilter in the past 5 years. She is an award winning quilter, showing her quilts at the Cocheco Quilt Show and MQX. 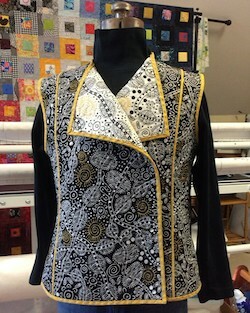 Recently she has turned her sewing and quilting focus to quilted vests and jackets.